During today's earnings call covering the third fiscal quarter of 2018, Apple CEO Tim Cook was questioned about the health of the smartphone market and the impact the company's choice to offer low-cost battery replacements might have on replacement cycles. In response, Cook said that he believes the smartphone market is "very healthy. "It's the best market to be in for someone in the business that we're in," said Cook. "Whether it grows one percent or two percent or five percent or six percent or 10 percent or shrinks one or two percent, it's a great market because it's just huge." iPhone revenue, Cook pointed out, was up 20 percent during the quarter compared to the third quarter of 2017, and Apple has seen mid-single digit growth averages on a weekly sales basis and double-digit growth on an ASP basis. Apple sold a total of 41.3 million iPhones during the quarter, bringing in revenue of nearly $30 billion. 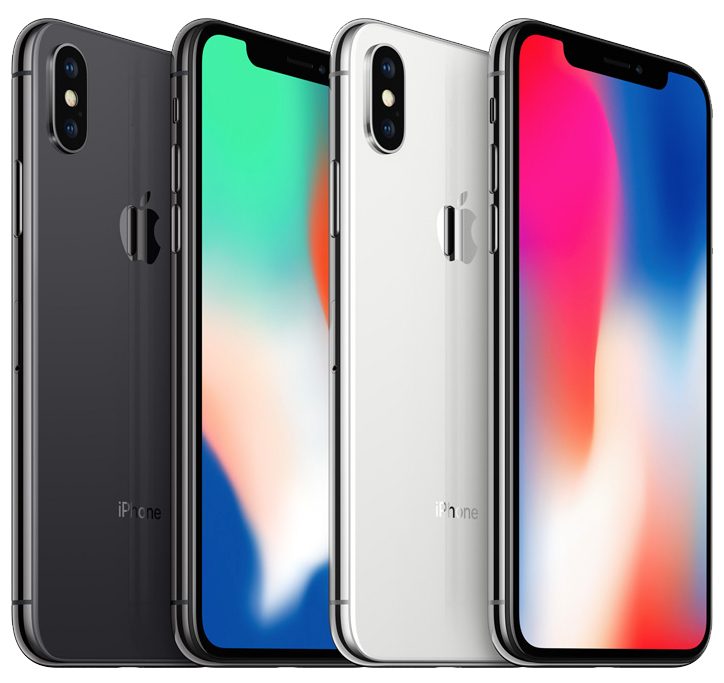 The iPhone X continued to be the most popular iPhone during the quarter. Cook said that he does believe replacement cycles are lengthening, and he says the "major catalyst" for that has been the fact that subsidized plans have become a much smaller percentage of total sales around the world. Apple's goal is to make great products to encourage customers to purchase new devices. I think for us, the thing we always have to do is come out with a really great, innovative product. I think iPhone X shows that when you deliver that, there's enough people out there that will like that, and it can be a really great business. In a separate response given to a question about Apple's focus on the home, Cook shared additional comments about the importance of smartphones. "The smartphone has become the repository that goes across the whole of your life, not something meant for a portion of it," he said. He went on to explain that Apple is focused on a number of areas with its product lineup -- home, work, the time between, health, and more. "We're focused on all of those things." In terms of the battery replacement program that has seen Apple offering $29 iPhone battery replacements since the beginning of the year, Cook reiterated a statement he made back in February during an earlier earnings call. Apple, he said, has never done an internal analysis on how many people bought a battery compared to purchasing a new phone because it wasn't a factor in the decision. "It was never about that for us," said Cook. "It was about doing something great for the user. Treat users and customers well and you have a good business over time. That's how we look at that." Sorry, Tim, but all Apple is doing right now is relying mostly on their success before Steve was gone. The iPhone X is a good phone, but it’s not a revolution. It’s an iPhone. At a ridiculous price point. The Mac has almost been forgotten, the MacBook Pro for example has lost many features like MagSafe, indicator light, mostly all ports and everything is soldered and glued together... why? What is the benefit for the user? I don’t get it. Removing features is not an improvement just by doing so! Also the price is a joke. The touch bar is a nice gimmick, but it’s not optional so I have to buy this piece of emoji display ****. The keyboard... worst typing on an Apple keyboard, ever. The HomePod is an overpriced speaker with a very sad Siri that still feels like in beta and the price is a joke, again. I could go on and on, but the point is: Apple is still earning the fruits of their success from the past, but it won’t last forever. There is nothing innovative anymore, just minor upgrades at premium prices. Correct me if I’m wrong, but to me, Apple is going down, in all it’s shiny glory. Money won’t rescue them. ..... for now. Can’t rely on that money train forever Timmy. We’ll see if Apple really is still innovative in the future. Dude it's been 7 years since Steve Jobs died. Give everyone a break. My phone replacement cycles are lengthening mainly because the newer models have gotten so expensive and it feels wasteful to upgrade for the sake of upgrading. I'm currently on a iPhone 6s plus 128 gig and it works fine. sure the camera isn't as good as the latest models but it does everything else well. Smartphones need to die. How is it everyone and their mother has one? All these things have done is make people more lazy and stupid by and enabled so many car accidents. Yup. I’ve upgraded every 2 years since my 3GS. If Apple insists on $1000+ flagship phones, I’ll go to a 3 year upgrade cycle with a battery replacement at year 1.5. That price is unreasonable for every two years. They’ll net less money that way too. This is me... Heck, I'm proposing every 5 years for me and my other 4 lines. I will not be made to think a $1000 phone is necessary. its easy to predict what the new phones are going to be this year thats for sure. at some point you will have to do something groundbreaking. Translation: The market is saturated. I agree with you that smartphones can be bad (overuse being the main culprit), but you’re kind of preaching to the wrong choir here.